With pastels set to dominate throughout Spring and Summer this year, make sure you’re a step ahead by incorporating them into your home now. From the catwalk to our homes – the passion for pastels shows absolutely no sign of stopping. By using the innovative colour matching service available at Shutterly Fabulous, you too can bring this versatile palette into your home. Not only are these the perfect hues for spring, (before the bold shades of summer come in), but the soft tones mean that this trend can be accommodated within your home all year round, transforming a room into a calming and tranquil space. 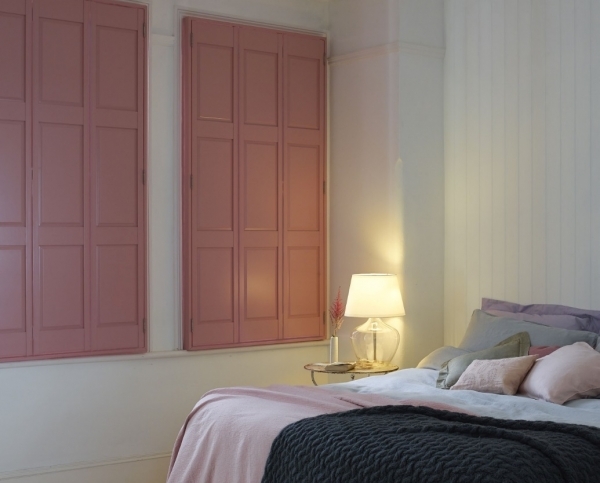 Use shutters to add dashes of chalky shades, enlivening rooms with a neutral scheme and bringing in some personality. Think about the different rooms in your house and the mood you’d like to go for. Pinks and Yellows are perfect if you want to create a light and cheery feel to a room, so are ideal for spaces like bedrooms. The key to incorporating colour in a bedroom is subtlety – a pastel tone means that this important space for relaxation isn’t dominated by big blocks of colour that could overload the senses! Living rooms offer you the chance to be more experimental and vibrant – livelier shades of green add interest and life to a room, yet keeping it in that pastel shade softens it slightly – making it suitable for use all year round. For the bathroom, Blue is of course a perennial favourite, so think about using a Sky Blue with a chalky, pastel like quality – evoking the on-trend colours of coastal beach-huts for a truly nautical feel.